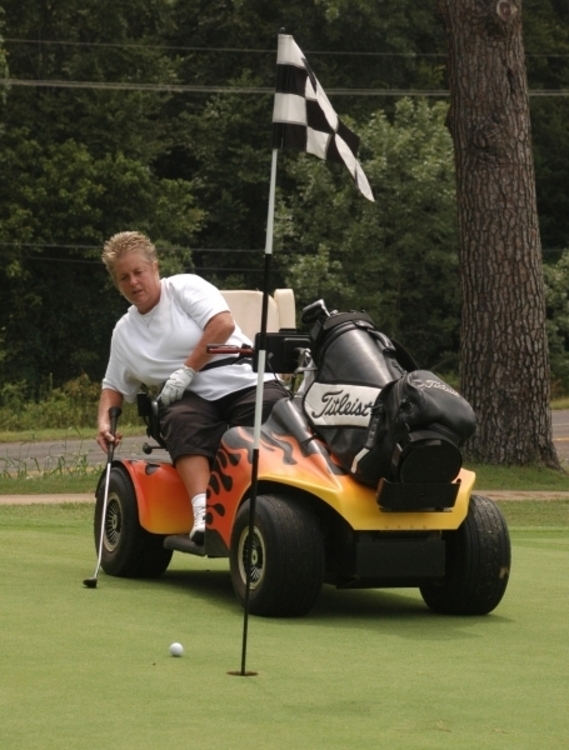 It’s hard not to notice Missy Mullins with the bright yellow and orange flames painted on her golf cart… particularly when it’s parked on the tee box or the putting green. That’s correct! 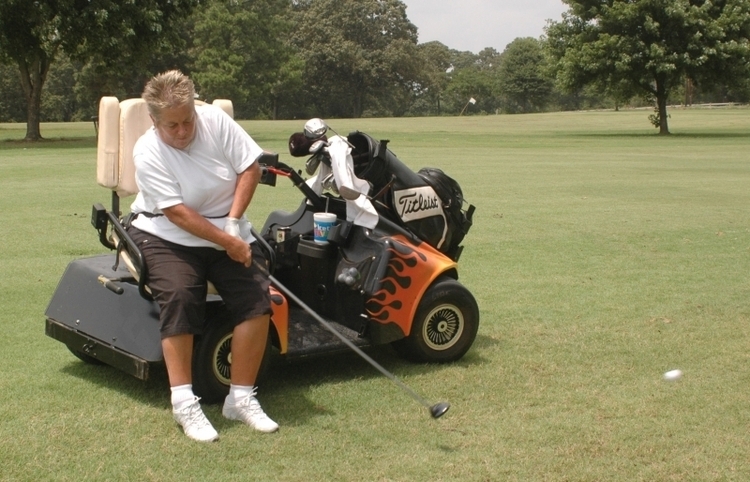 You read perfectly… it’s one of the “perks” she has at the country club where she plays weekly in Mineola, Texas. Mullins was good enough that she lightened the wallets of more than one of the male members at the club in those days. Then suddenly in 2007 her world changed while visiting a relative in Tennessee. She fell down a flight of steps and when she came to rest, she was paralyzed from the waist down. In a flash, the game that was so important to her prior to the accident, wasn’t even on her radar as she worked her way through rehabilitation, wondering if she’d ever get back to work. Living alone, the muscular Mullins says today, makes one very self sufficient but before she could go home for good, there would be several trips to a hospital. 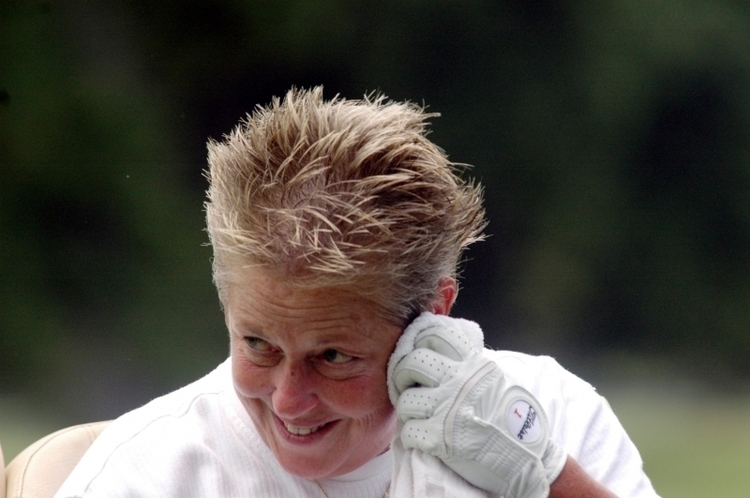 Then in very early 2009, with life returning to what will be normal from now on, Mullins began to think about the game she’d played so well for so long. 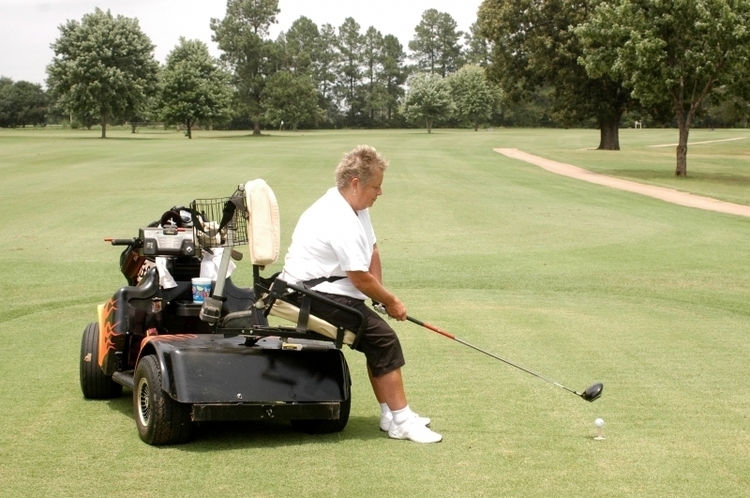 She heard about a cart for sale that might be just what she needed and with the help of a friend, attorney Joe Barnes of Dallas, Mullins acquired a golf cart designed for those in her condition. 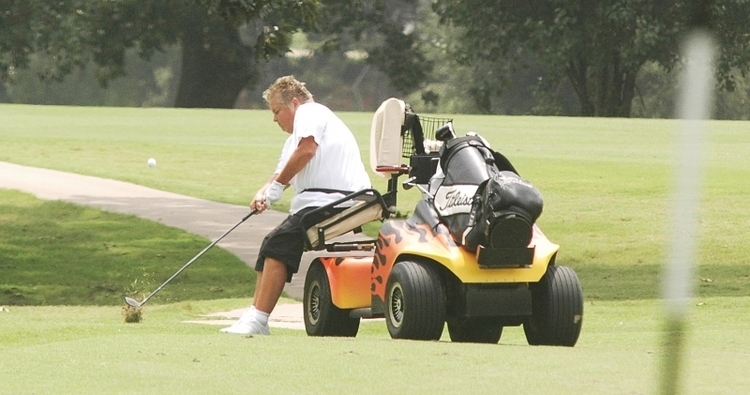 “It (the cart) has opened a whole new world for me,” she said. 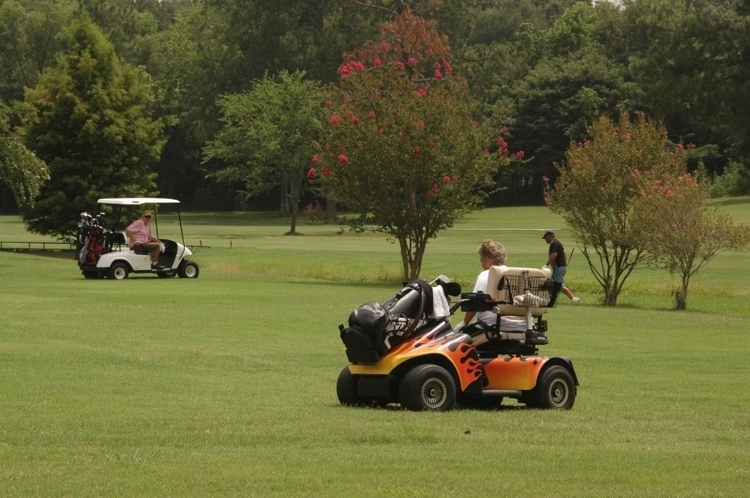 As spring flowers gave way to the heat of a Texas summer, she first played a limited number of holes, working herself up to completing nine several times before venturing out for a full 18-hole round. 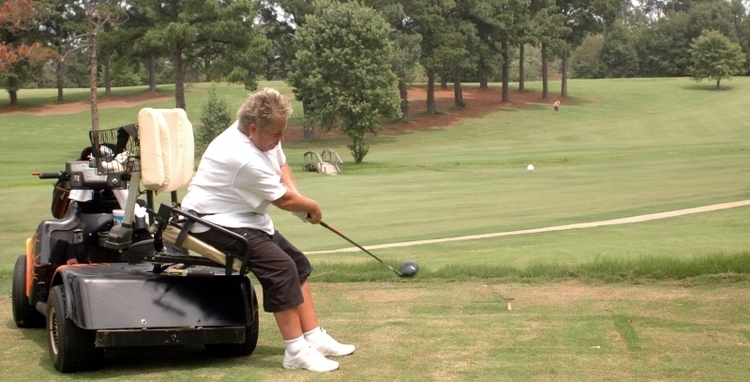 And by July she was playing 18 holes of golf, sometimes more than once a week. 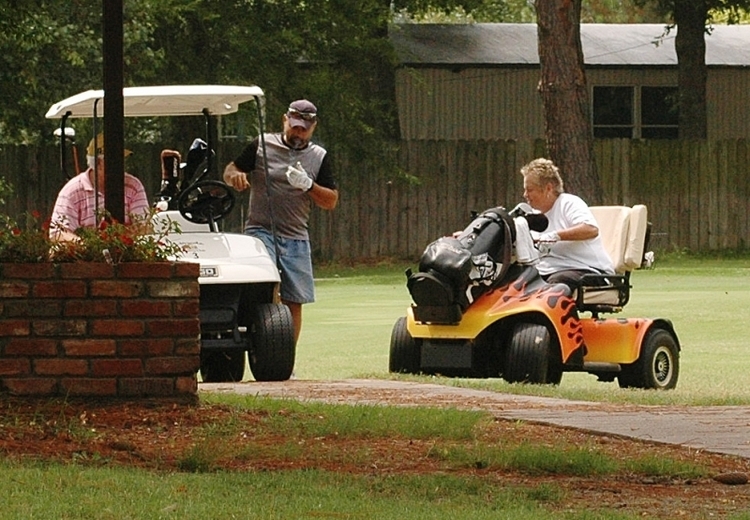 While she’s on the course it’s not unusual to see golfers on other holes stop their game to watch Mullins hit her shots. 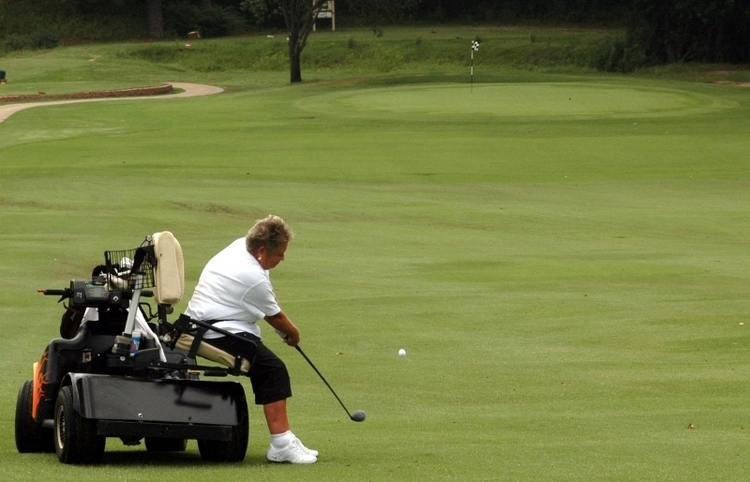 When members of the club talk about her they use words like “inspirational” and “great attitude” to describe her as she readies to take part in this year’s club championships in September. She’s moved well beyond those early weeks of concern about falling and she is certainly a miracle among us and an example of what determination and grit can accomplish.